“First Saturday” is a town-wide event sponsored by the Campus Life office at SUNY Potsdam and the office of Student Life & Engagement at Clarkson University. 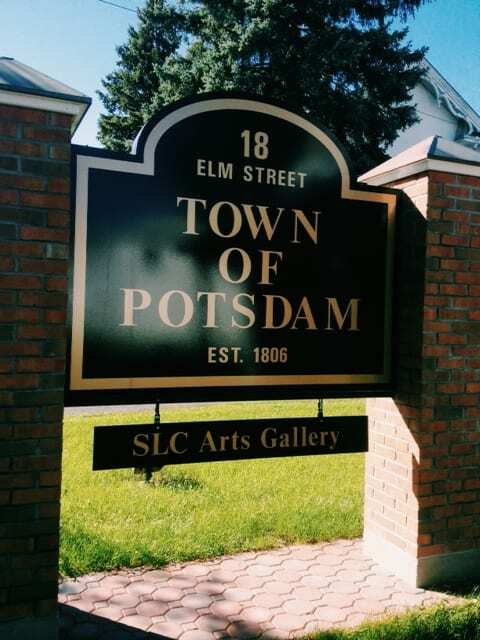 The purpose of the event is to open the fall semester welcoming college students to Potsdam, NY and encourage students to engage with local businesses and organizations. The events at SLC Arts are free and open to everyone, not just college students. 12-5p​: ​Color & chat – SLC Arts will provide art supplies and coloring pages for community members to sit, color, and chat. 12-5p: ​Artist Demo: steampunk hats – Meet Aimee LaRue of Norwood, NY and watch her make steam​punk hats! More information about LaRue’s costume designs is available on social media under her business name, graverobbergirl. LaRue’s hat making demonstration will be in room 119. 3-5p: ​Artist Demo: ceramics – Meet Sara E. Lynch of Potsdam, NY​ and watch her make sculptures out of clay! More information about Lynch’s work can be found on her Etsy site at https://www.etsy.com/shop/saraelynch. Her pottery-making demonstration will be on the second floor of Downtown Snell Hall, in her ​art ​studio in room 236. SLC Arts believes in art for everyone and accepts financial donations to support their public events. Click the Donate button at the bottom of this page to make a donation of any size.